It is not Turkish. And doesn't sound Persian neither. 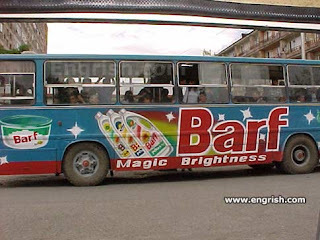 Barf IS indeed Persian and is a brand name by the Iranian detergent and hygienic producing company Paxan.